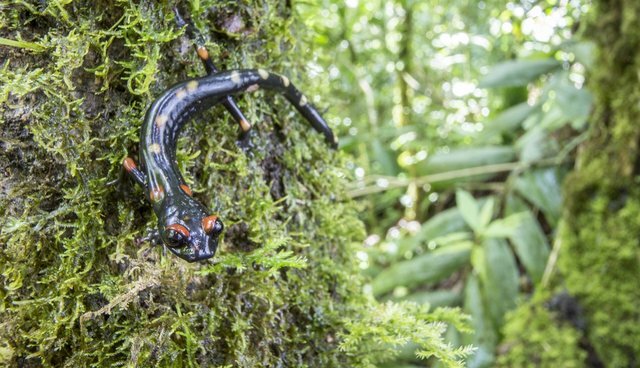 An expedition to find species missing for decades in the remote cloud forests of northwest Guatemala leads to a new sanctuary for rare and elusive salamanders. 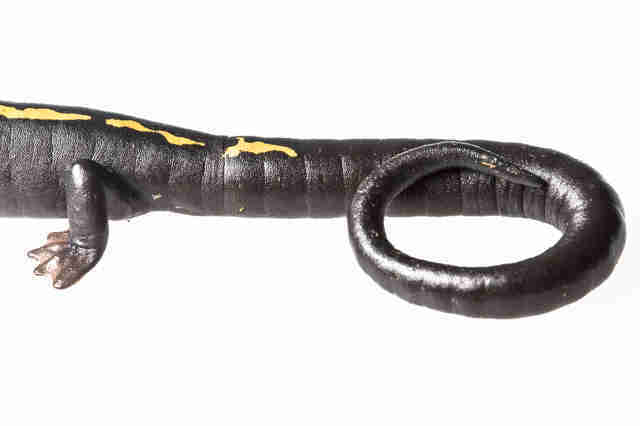 "We called it the golden wonder", says Jeremy Jackson, reminiscing about a salamander that he was the first, and last, to find in the wild 38 years ago. "I found the first one under a sheet of bark in a field and, after collecting in this field for weeks without success it was obviously something unusual. 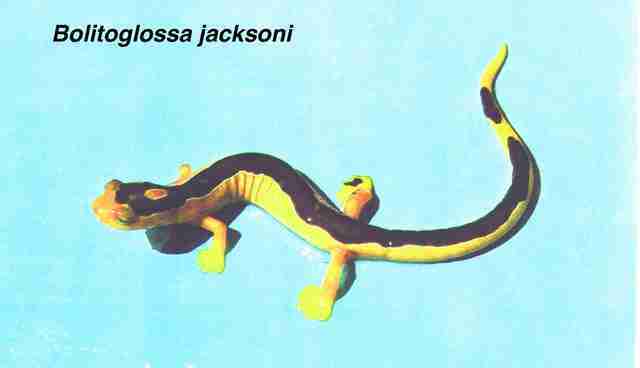 What the few photos of Jackson's Climbing Salamander, Bolitoglossa jacksoni, that exist don't show is the brilliance and depth of the coloration. It was an exceptionally beautiful animal". I am standing with Jackson in the cloud forests of the Cuchumatanes mountains in northwest Guatemala where he had discovered the elusive salamander almost four decades ago – but what had brought him here in the first place? His good friend, Paul Elias. Elias had ventured to Guatemala for the first time in 1974 and had made discoveries so remarkable that he was compelled to return. Elias writes of that first visit, "I was 18 years old and had a chance to visit Guatemala, and so I went to [eminent herpetologist] Dave Wake to ask what I could collect that would be of use to him. 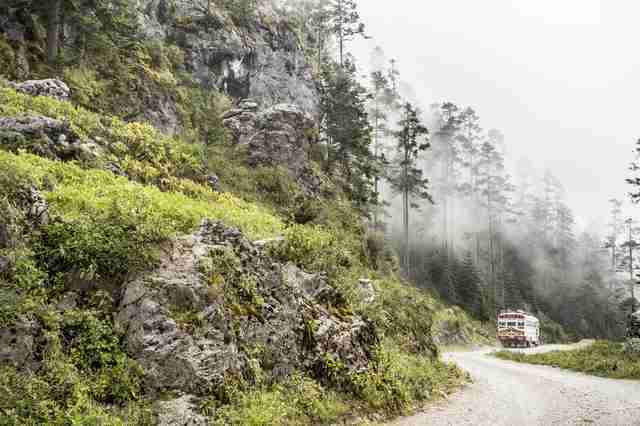 He gave me a one-page photocopy of a map of Guatemala and circled the Cuchumatanes." The Cuchumatanes mountains represented a final frontier for exploration in Central America – and Elias could not resist. After being dropped off by his parents at a road rising sharply up to a karst plateau, he hitchhiked as far as he could away from civilization and into uncharted territory, sleeping nights on a dirt floor among "bugs, predatory spiders, scorpions and centipedes that had gathered". He collected a couple of hundred salamanders in three weeks. "I had no guide to the species in Guatemala so I had no idea if I had anything of value or not," he says. His hard work and discomfort paid off. When Elias returned to Berkeley he left some of his specimens to soak in water before preserving them. It was here that Wake happened upon them, and he was astonished. Elias recalls, "both [what would later be named] the Long-limbed Salamander and Finca Chiblac Salamander were in that collection and turned out to be new genera that were significant missing links in the Neotropical lungless salamander radiation. Word traveled to me by rumor in the next day or two and I suddenly discovered that I had found something extraordinary". Elias launched further expeditions to the Cuchumatanes the following two summers, bringing Jackson with him. Rain-soaked weeks spent crashing through mist-shrouded forest and lifting rotting logs resulted in the discovery of Jackson's Climbing Salamander, named by Elias in honor of his friend. But over months of fieldwork only two individuals of the species were ever found, and neither Elias or Jackson could have predicted that, a quarter of a century later, none of the three salamanders that they had discovered would have been seen again. It was not until 2009, during an expedition led by local biologist Carlos Vasquez and the Museum of Vertebrate Zoology at Berkeley, that the Finca Chiblac Salamander was rediscovered, an incredible 32 years after it was last seen. The following year the Long-Limbed Salamander also re-appeared. 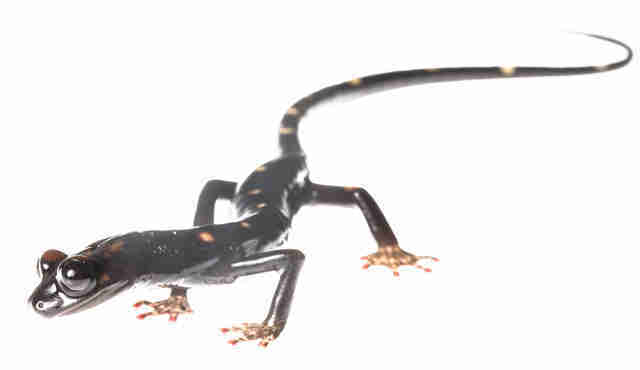 Still missing, however, was Jackson's salamander, which climbed its way into the top ten "Most Wanted" amphibians in the world during the Search for Lost Frogs campaign in 2010. July 14, 2014. I am sitting with Jeremy Jackson and Paul Elias in a small rural village near the turquoise Laguna Maxbal in the Cuchumatanes mountains. Elias is studying his original field notes – every page photo copied and bound, to assess how things have changed. It is the first time that either of them has been back in 38 years. We are joined by eight others, an eclectic mix that includes Carlos Vasquez, on a quest to retrace Elias and Jackson's steps in search of some of the most elusive of creatures on earth. On our fifth day in Guatemala we have yet to find a salamander, and our supply of optimism is running low. As a heavy afternoon rain subsides, we don our headlamps and head into the forest and to an area with large buttressed trees –ideal for the Long-limbed Salamander. As soon as light has drained from the forest the salamanders emerge from among the tangle of roots to scale the trees – our best chance of seeing them is soon after they have emerged and before they climb out of sight. It is a narrow window of opportunity, but spirits are high as we illuminate the mossy trunks of large trees through a fine mist. We quickly strike gold. Jackson describes the moment: "When I spied that oh so familiar pose of a Long-limbed Salamander basking in the rain with feet splayed and spine bent with that beautiful long tail hanging down, I was thrilled. It really brought back much of what it had been like in '76; going out night after night in the rain. 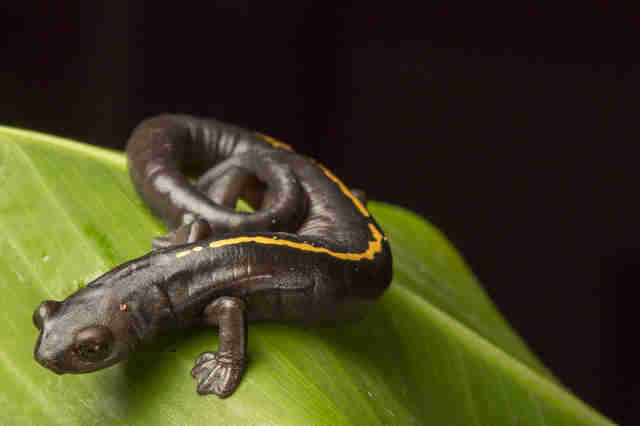 Finding this salamander is as rewarding as it was years ago." The next day the team finds a Finca Chiblac Salamander under a rotting log – the only individual we find on this expedition. Elias shares Jackson's excitement at seeing the salamanders again, telling me after the expedition, "I was really moved to see both the Long-limbed Salamander and Finca Chiblac Salamander alive and happy in their forest. The Long-limbed Salamander in particular is just an extraordinary animal; its nimble ectomorph body with huge alert black eyes, its high speed agility, and its goofy polka dots make it something almost unlike a salamander. I never thought I would see one alive again, and I just could not get enough of watching them. 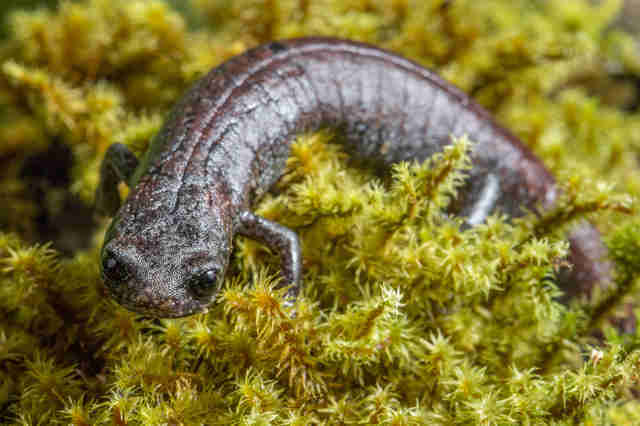 The fact of these two missing links living in that primeval forest on the ancient karst uplands makes one think that the Cucuchumatanes were the old cradle of the great salamander radiation of Central America." With two of our target species under the belt – and some other exciting finds such as the Cuchumatan Golden Toad and the Critically Endangered Black-eyed Leaf Frog – our full attention turns to finding the Holy Grail: Jackson's Climbing Salamander. Day after day we spend hours with our backs arched sifting through leaf litter, and under the cloak of darkness we enter the forest to scour leaves and trunks illuminated by the white cone of light projected from our headlamps, willing a brilliant yellow and chocolate brown salamander to appear in front of us. We talk about how amazing it would be to find a Jackson's Salamander, and we even allow ourselves, with a jolt of adrenaline, to imagine the prospect. But the vision remains tantalizing. The enigmatic Jackson's Climbing Salamander eludes us. Before leaving the remote reaches of the Cuchumatanes locals from a small town proudly present us with a salamander that they found close by. It is a beautiful Müller's Mushroom-tongue Salamander, Bolitoglossa mulleri, an uncommon chocolate brown animal with a splash of yellow running down it's back, as if it had walked under a leaky tin of royal yellow paint. It is the closest we will come on this expedition to seeing Jackson's Climbing Salamander. The expedition to the remote forests of the Cuchumatanes shone the spotlight on the incredible value of the forests of the Cuchumatanes, but it also uncovered impending threats to this remote area. Some core forest habitat was slated for coffee cultivation by international investors within the year. A global consortium of conservation groups rapidly formed and responded. The Amphibian Survival Alliance, Global Wildlife Conservation, Rainforest Trust, World Land Trust andInternational Conservation Fund of Canada quickly raised the support needed to realize the vision of Carlos Vasquez : a sanctuary for the salamanders of the Cuchumatanes. Two days ago, Carlos' dream was realized as the final documents transferring the title of the land were signed. 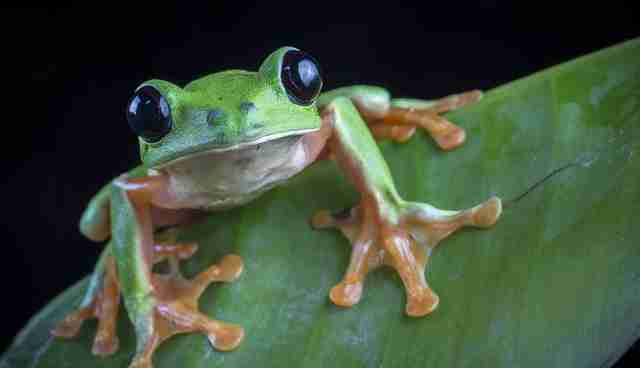 "The establishment of the San Isidro Amphibian Reserve as the first Nature Reserve in the Western Highlands of Guatemala is a great conservation success," said Marco Cerezo, executive director of FUNDAECO, the local NGO that helped identify the 2,000-acre parcel of land and will oversee management of the property. 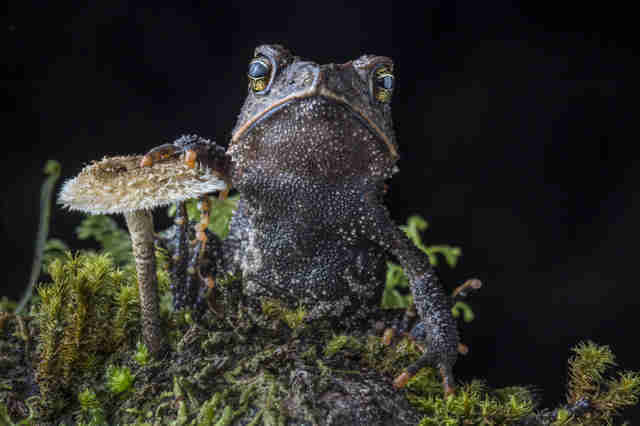 One of the property's parcels will be named after philanthropist Andrew Sabin, who has supported the conservation of amphibians in Guatemala and worldwide. The new reserve will protect key forest habitat for a treasure trove of amphibian species and the striking Resplendent Quetzal. Elias said of the outcome, "to see this reserve take shape under the imaginative genius of Carlos Vasquez and partners, and to be able to help that happen in a small way, is the culmination of a forty year dream for me."